Objective : The aim of this class is to provide most relevant information and tools in order to successfully manage EC co-funded projects. Main target group: NGOs, including foundations and associations, trade unions and public sector (universities) as well as consulting companies working in development cooperation projects may be interested in this class to improve project management, including reporting, and better face external evaluations. Independent consultants already working in the field may require an update as well as international grant-makers may be eased in the supervision of their co-funded projects and improve their management skills. Experience and knowledge in international development cooperation are not requested. 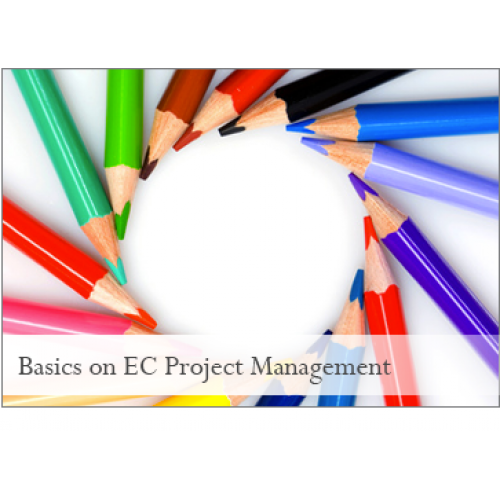 Structure: This class provides guidance through the management of EC co-funded projects with concrete examples and tools to ease the process. The project is divided into contracting, inception, implementation and closing phases that are addressed in detail, per each main activity involved. Obligations and rights are considered and a special focus is on financial issues and administrative procedures to follow. Main tasks of the project manager are analyzed and EC priorities duly taken into account.